In response to the growing need among scholars, policy-makers and investment practitioners, Earthscan has launched the Journal of Sustainable Finance and Investment. The first of its kind, the journal provides for a broad debate on the meanings of investing and sustainability and how these might be played out in the financial markets. 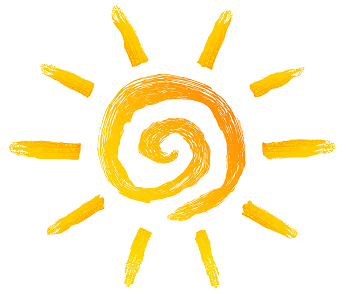 Earthscan is offering free online access for Academic Institutions and NGOs and 50% off personal subscriptions in 2011. Dedicated to providing a forum for stakeholders working in sustainable finance and governance, the peer-reviewed Journal of Sustainable Finance and Investment gives interdisciplinary perspectives on sustainable investment from engaged academics and reflective practitioners. The inaugural issue includes an award-winning article by Professor Benjamin J. Richardson, From fiduciary duties to fiduciary relationships for socially responsible investment (article available free here), which examines the previously neglected question of whether socially responsible investing is legally permissible if it fulfils the will of the beneficiaries in a fiduciary relationship, and considers potential legal reforms to give better effect to the interests of the beneficiaries. The other research articles in the issue provide multidisciplinary perspectives on: the effective use of social and environmental considerations in financial institutions; shareholder activism and its implications for corporate governance; and shareholder engagement, showing how social and environmental investing considerations can be used to reduce risk and drive public policies. Complementing the five scholarly articles in the inaugural issue are two professional perspectives. Writing from contrasting markets and jurisdictions, they argue that the institutional arrangements which frame the financing of sustainable development need to be made transparent and accountable. 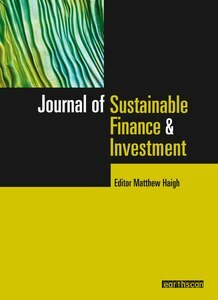 The journal will publish research articles, book reviews, and discussions of topical items in sustainable finance and investment, with a focus on environmental, social and governance principles as formulated in managed investment, banking, project finance, and philanthropy. "Strengthening investor and academic collaboration on sustainable investment is critical to building avenues for research, education and network-building on industry issues… The Journal of Sustainable Finance & Investment helps to grow responsible investing interest and close the knowledge gap." Editor-in-Chief Dr Matthew Haigh, Aarhus School of Business and Social Sciences, Aarhus University/School of Oriental and African Studies, University of London is supported by an international editorial board of academics and practitioners.